Purchase your copy of The Sorceress and her Lovers by following this link. We reached Hysteria’s side and I turned to smile at my lovely companion, but she was frowning. “Your plan seems fraught with unnecessary problems,” she replied. “Living death is pretty secret,” said I. Chapter Twelve: Wherein I hear the story of a Princess of the Elves. “Alright. And how did you get away from them?” I asked. Chapter Nine: Wherein I demonstrate the value of a classical education. “Do you think they are the same goblins that we saw earlier?” asked the orphan, at my shoulder, peering into the window. I could only shrug, for in truth one goblin looks much the same as another to me. Though I had relatively close contact with three of the creatures earlier that evening, which is to say having kicked two and poked one in the head with my knife, I can’t say that I had become familiar enough with any of the three to distinguish them from any other of their race. That being said, I was relatively sure that the one I had poked in the head with my knife was not among those now in the little cabin. These goblins were singing or drinking or dancing or doing some combination of the afore-mentioned, all of which are extremely difficult if not impossible to do when one is dead. “What are you going to do?” wondered the orphan. “Why do you suppose I should do anything?” I wondered. Hysteria knickered. She hated goblins too, probably because they stand so low to the ground and as I have pointed out before, she dislikes anything too near her feet. “Now you make a compelling argument,” said I. The orphan rolled his eyes. I explained my plan, devised on a variation of the Brementown story. Turning Hysteria so that her rear end was pointed toward the wall of the cabin, I left her with the orphan while I went back to the front and took a position by the door. Pulling out my knife, I placed my fingers in my mouth and whistled, which was the prearranged signal for both my noble steed and the orphan. At the signal, Hysteria began kicking the wall of the cabin with both hind feet and the orphan commenced to making all manner of strange noises. I was so surprised by the cacophony of sounds, which is to say noises that came out of the youngster’s mouth that I almost forgot my own part of the plan. I am aware that boys are well-versed in the creation of creative noises as well as all kinds of mimicry, having been a boy myself once. But this orphan was a true artist. He belted out the yowls of a wildcat, the braying of a donkey, the barking of a dog, the screech of harpy, and the gurgling growl of a frog-bear. Not to be outdone, Hysteria let loose with the squeal of an angry equine, which is to say a horse. It was scant seconds before the door burst open and the goblins began pouring out into the snow, their shrieks clearly indicating that they were frightened out of their tiny little minds. The first two who came out were quickly dispatched with my knife. After that I decided that it was too strenuous to keep bending down to kill them, as they are so low to the ground and I had been riding all night long, which under the best of conditions can give one a sore back. Thereafter, I reverted to my now well-practiced maneuver of using their heads as makeshift kick balls, which is to say I kicked them on their kick ball-shaped heads. In the space of twenty seconds, I managed to get rid of all the goblins, which turned out to be seven. I can’t swear that all of the goblins were dead, as five had been sent in long arcs through the air into the darkness of the woods. They were gone though. Scant moments later, the orphan, Hysteria, and I were inside the cabin. I put Hysteria in the corner furthest from the fireplace and directed the boy to stoke the fire, while I pulled the body of the unfortunate former owner out into the snow next to two of his apparent murderers. Thereafter, I went back inside and bolted the door. “That was a wonderful plan,” said the orphan. Not having had the best of luck so far that night with regard to welcomes, which is to say that I had been attacked three times already that night, two times of which I have already described for you here, I dismounted and crept around to the side of the cabin to the window and peered inside. Lying on the floor in a pool of blood was a man in common work clothes. The single room of the little cabin had been ransacked. And dancing around, or sitting and singing, or drinking; were more of the little, round-headed blighters, which is to say goblins. Note: I just approved the store copies of Princess of Amathar and Eaglethorpe Buxton and the Elven Princess, so they should be available at Amazon in a week or so. You of course can purchase them now by clicking on the links to the right. Eaglethorpe Buxton now at Feedbooks. 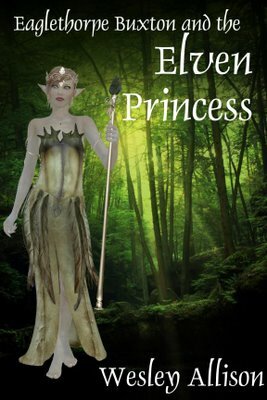 In addition to the ebook version from Smashwords (Available by clicking on the image on the right), Eaglethorpe Buxton and the Elven Princess is now available at Feedbooks.com. Get it by clicking RIGHT HERE. I’ve been making some subtle changes to the blog. Hopefully they are so subtle that you haven’t even noticed them. Things seem to be pretty well squared away with “His Robot Girlfriend”. If you haven’t downloaded your free ebook copy yet, do so today. 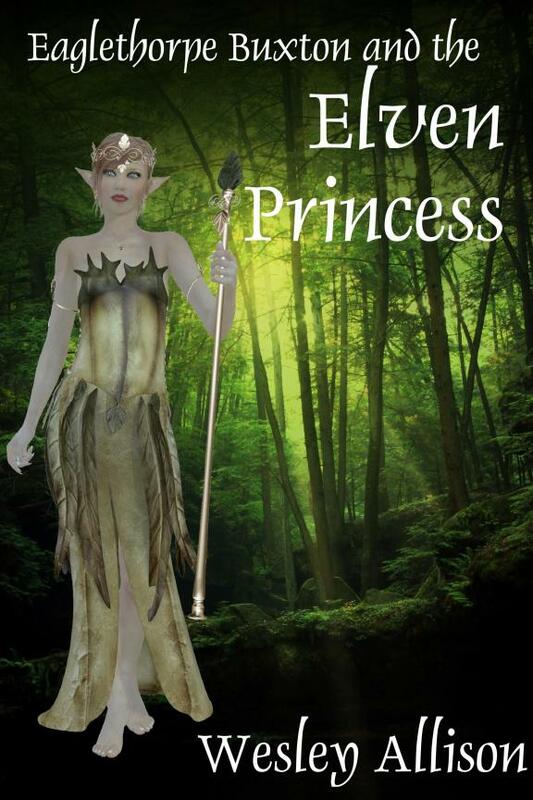 As you can see there is now a link for a similar download for “Eaglethorpe Buxton and the Elven Princess”.